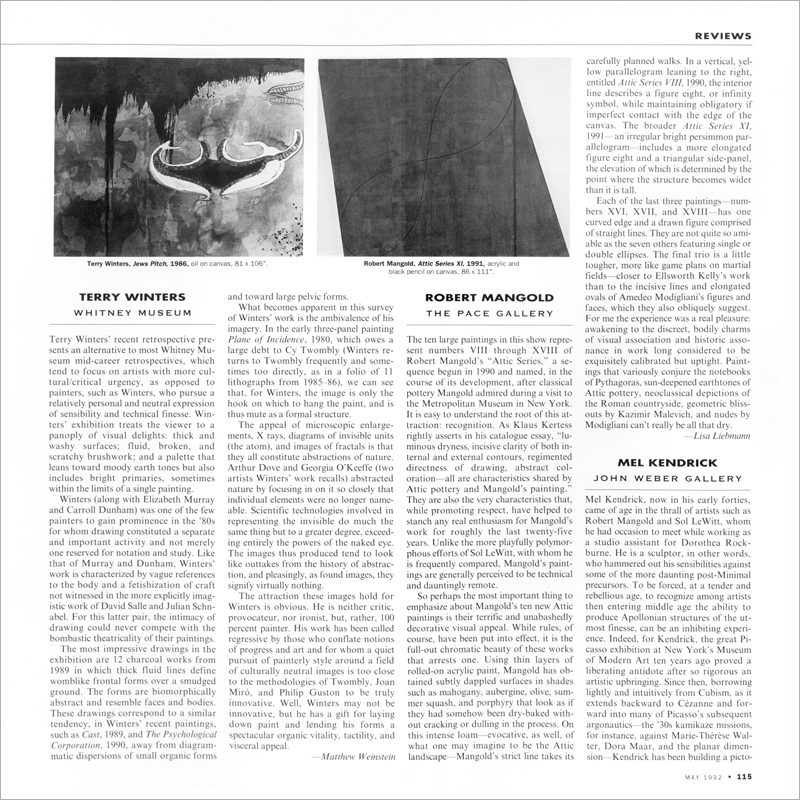 Terry Winters’ recent retrospective presents an alternative to most Whitney Museum mid-career retrospectives, which tend to focus on artists with more cultural/critical urgency, as opposed to painters, such as Winters, who pursue a relatively personal and neutral expression of sensibility and technical finesse. Winters’ exhibition treats the viewer to a panoply of visual delights: thick and washy surfaces; fluid, broken, and scratchy brushwork; and a palette that leans toward moody earth tones but also includes bright primaries, sometimes within the limits of a single painting. 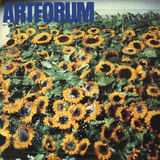 Order the PRINT EDITION of the May 1992 issue for $17 or the ONLINE EDITION for $5.99.